Provide exceptional customer service and experiences by gaining visibility into your complex, hybrid cloud infrastructure. 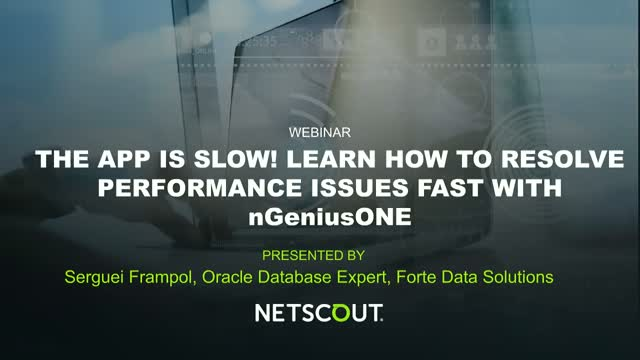 In this webinar, Joe Weinman, author of Cloudonomics and Digital Disciplines and Eileen Haggerty, AVP Enterprise Operations at NETSCOUT share smart findings and real-life examples for gaining the visibility needed to manage performance within complex environments. Learn how to address the problem of Assuring Micro-Segmentation Security Controls and Application Service Performance in one Solution. Making the decision to evolve to the agile NSX SDDC environment as part of your Digital Transformation initiative brings its own challenges of security design and application deployment; and is not without risk. Which means that maintaining visibility to assure your business service and confirming security policies are working in this new virtual, secure world is critical to migration success. This session will focus on how NETSCOUT, an NSX Certified Partner in the visibility space, can bring continuous visibility and service assurance of your micro-segmented application, PLUS test your security policies are operating to make sure your critical applications work! - Show how NETSCOUT provides visibility beyond just the SDDC in NSX and into the public cloud.